NZ Van Spares Ltd is a Specialist Commercial Van Dismantler and has van parts for most late models. We've got NZ New and imported vans at our base in Christchurch. We also stock a wide range of aftermarket panels, lamps and mirrors. All our parts are cleaned and checked before dispatch, and come with a full 3-month warranty. Our aim is to provide excellent services and supply quality van parts at affordable prices for the entire country. 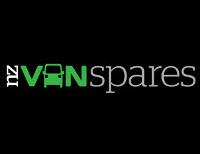 Come over to NZ Vanspares or give us a call on our freephone number.